Nominated for the Academy Award and winner of four EMMYs as well as BAFTA and Peabody Awards, Ava DuVernay's 13TH was one of the most critically-acclaimed films of 2016. In 2015, DuVernay directed the historical drama SELMA, which garnered four Golden Globe nominations and two Academy Award nominations, including Best Picture. 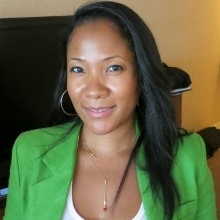 Her current work includes the critically-acclaimed drama series QUEEN SUGAR, Disney's fantasy epic A WRINKLE IN TIME, and a film adaptation chronicling the notorious Central Park Five case. Winner of the 2012 Sundance Film Festival's Best Director prize for her previous feature MIDDLE OF NOWHERE, DuVernay's early directorial work includes I WILL FOLLOW, VENUS VS. and THIS IS THE LIFE. ‎In 2017, DuVernay was named one of Fortune Magazine's 50 Greatest World Leaders and TIME Magazine's 100 Most Influential People.‎ She also distributes and amplifies the work of people of color and women directors through her film collective ARRAY, named one of Fast Company’s Most Innovative Companies. DuVernay sits on the boards of Sundance Institute, Cirque du Soleil and Film Independent. 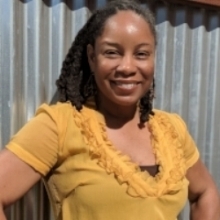 Mercedes Cooper is the Director of Marketing at ARRAY, an LA-based arts collective dedicated to the amplification of films by people of color and women founded in 2010 by filmmaker Ava DuVernay. Here she has developed branding and promotion of 16 independent film campaigns including Sundance 2012 Best Director winner MIDDLE OF NOWHERE and the re-release of 1983 Berlinale FIPRESCI Prize winner ASHES AND EMBERS. Cooper also manages ARRAY @ The Broad, an on-going film series featuring classic and contemporary films curated with an eye toward the intersection of art, history and cultural identity. Prior to this position, Cooper was the Marketing Coordinator at Columbia College Chicago’s Portfolio Center while completing an M.F.A. degree in Film and Video Production. Her career in media began as Program Coordinator for the Radio Television Digital News Foundation’s Journalism Ethics Project. As an alum of University of Maryland College Park she holds a B.A. degree in Economics and also studied at the University of São Paulo in Brazil. Cooper previously served on the Metropolitan Board of the Chicago Urban League's Executive Board and is a Film Independent Project:Involve Fellow; which upon conclusion of the program she was named the 2011 Barbara Boyle Scholar.